Global Finance is an English-language monthly financial magazine. Joseph D. Giarraputo, the founder and former publisher ofVenture, the magazine for entrepreneurs, in 1987 joined forces with Carl G. Burgen, Stephan Spahn, H. Allen Fernald, and Paolo Panerai to start a magazine on financial globalization. The magazine’s primary target audience consists of Chairmen, Presidents, CEOs, CFOs, Treasurers and other financial officers. The magazine is distributed in 158 countries, with 50,050 global subscribers and recipients, certified by BPA Worldwide. The website gfmag.com, relaunched in 2009, targets an audience of top financial web-users that complements the reach of the magazine. 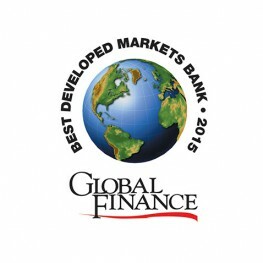 Gfmag.com offers analysis, articles and awards that are the heritage of 22 years of experience in international finance and provides a valuable source of data on 192 countries. Global Finance Media, Inc’s majority shareholder is Class Editori Group SpA, an Italian publishing company that produces two financial newspapers, lifestyle magazines, news agencies, digital televisions, etc. Joseph D. Giarraputo is the second largest shareholder. Global Finance has offices in New York, London, Milan and Rio de Janeiro.